Thousands of people will find out in the “coming days” if they will get a refund for a part-cancelled music festival. Y Not Festival, in Derbyshire, was called off a day early, on Sunday, after heavy rain and wind. Fans took to social media to demand refunds and complain about the organisation of the event. Y Not Festival said it would be meeting insurers to discuss refunds. 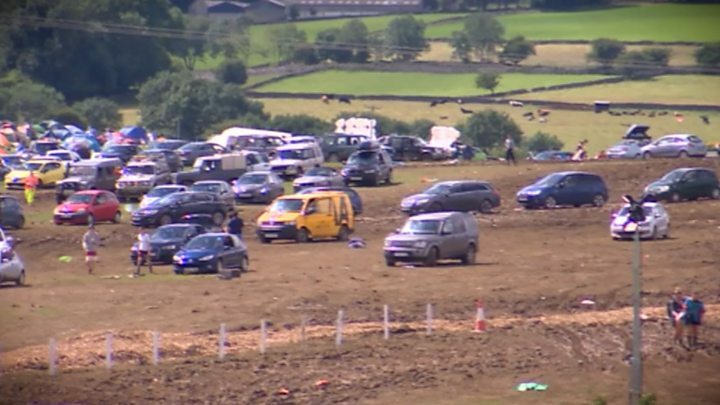 Some festival goers and traders were still attempting to leave the site on Monday, after the mud made driving conditions difficult. People who had train tickets to travel back on Monday were also offered the chance to travel back on Sunday, after the cancellation was announced. Katy Bull, 31, from Belper, went to the festival in a group of eight but decided to leave on Saturday. She believes metal plates put down to help people drive on the site damaged her tyres and said none of her group had their bags searched. “People just abandoned cars,” she said. “Yes, the weather was a factor but there were no contingency plans put in place. Glastonbury and Download deal with rain. “People could’ve walked in with absolutely anything. I’m getting fed up with people saying it was just the rain, it was just horrendous. “I contacted them [the organisers] straight away and told them I damaged my car and wanted reimbursing. The weather stopped headliners The Vaccines from taking to the stage, but Stereophonics and Jake Bugg’s performances were rearranged. Event director John Drape said he was “gutted” at what had happened but they had not been caught out by the weather. He added they had spent 30% more on infrastructure and brought in 80 tonnes of woodchip to stabilise tracks. 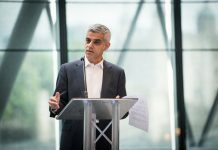 But many festival goers took to social media to say they had seen no signs of the measures brought in to improve conditions. On 24 July, children’s entertainment providers Angel Gardens put a statement on their Facebook page stating they had pulled out of Y Not “due to health and safety concerns around the organisation of the event”. The BBC has approached the organisers for further comment. Steve Heap, from the Association of Festival Organisers, said: “It’s fairly unusual… a lot of people get rain, but to be hit that hard in one go was most unfortunate.